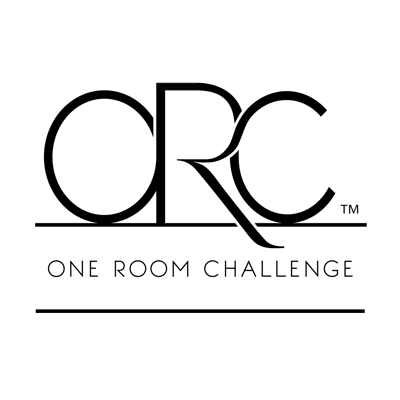 The One Room Challenge starts today! 20 design bloggers will be making over a space in 6 weeks and documenting it from start to finish. We’re no strangers to a quick deadline around here–heck, this summer we did a whole kitchen renovation for a family in Pittsburgh in 6 days! And a year ago, we did our own kitchen renovation in 7 weeks. But those took 4 months and 2 years to plan, respectively. We’ve had many other (like…every other) renovation take months to complete. 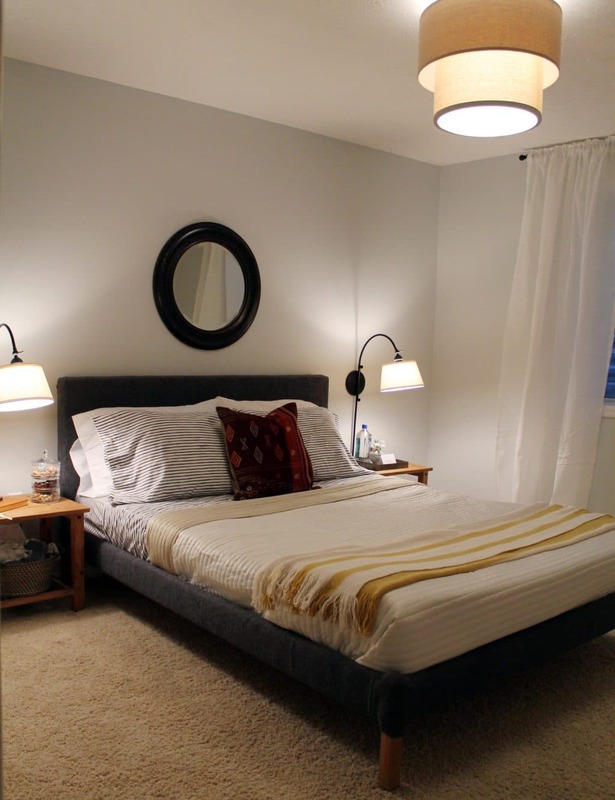 So today, day 1 of the One Room Challenge, has me feeling a little anxious, but mostly excited to renovate our guest room (see below) into a shared room, complete with built-in bunkbeds and wardrobes, for our daughters. If you’re new here (hi! ), we have two girls ages 2 and 6. Faye, our youngest, currently still sleeps in her crib in the nursery. While our six year old, Greta has her own room currently right next to the guest room. Greta has been begging to share a room with Faye and while I’m 100% content with my baby staying a baby forever, I know it’s only a matter of time before she outgrows the crib. And I’d love to have some practice runs, you know let’s lay in your new bed in the afternoon! instead of her first night ever sleeping in a big-girl bed be a night where there’s no going back. Maybe you’re wondering, Why the guest room? 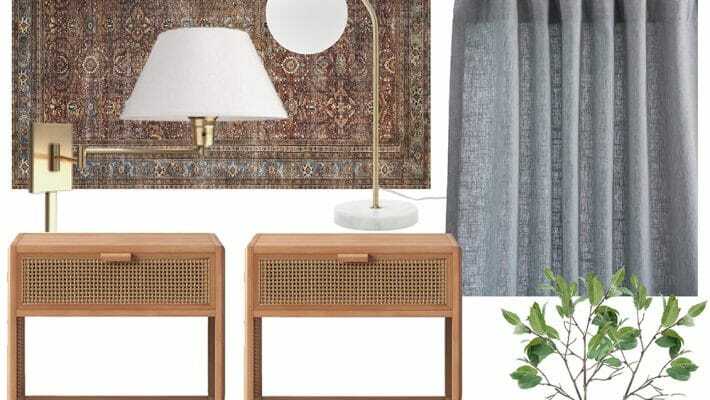 Why not transform Greta’s room into a shared room? The answer is two fold. First, we love the idea of not disrupting any sleeping patterns or situations for the duration of the project. But more importantly, second, the guest room has the perfect wall for the begged-for bunk beds we’ll be building and Greta’s room simply doesn’t. So you see, it works! Greta’s room will eventually be the guest room, which to be honest, I’ve been dying to redo since we threw it together in a few days before our first guest arrived 2.5 years ago. But that’s another project for another time. Let’s dive into the plans, shall we? We’ll be doing this renovation in real time, meaning as of yesterday, the guest room (above) still looks just like the guest room. Sure, this is in part due to our nephew staying with us for awhile (he moved out over the weekend), but also, we just really love taking you all for the renovation ride with us. On the left will be stairs leading up to the top bunk–I feel so much better about bunk beds when stairs are involved. In the center (err, almost center–slightly skewed left) will be the bunks. And then on the right, there will be a built-in bench with storage drawers and a wall of books with sconces–we’ll call it the reading nook. As for how the room will look, the truth is we don’t have every detail nailed down yet–that could explain the anxiousness. But I did create a mood board of where we’re generally headed. 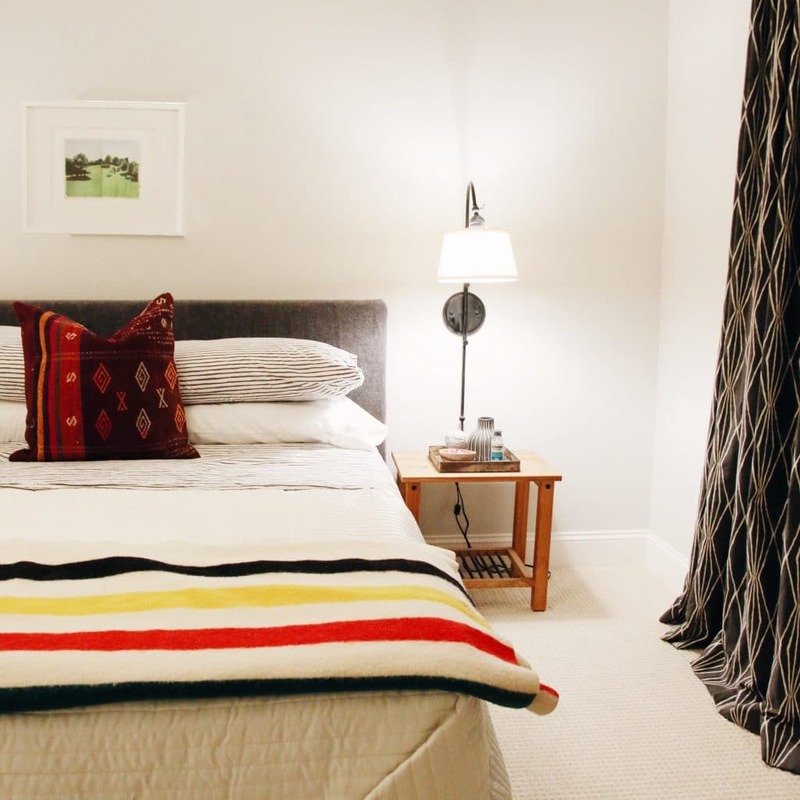 Our biggest challenge will definitely be that this room is in the basement–as are more than half the bedrooms in our home; it’s just the way homes are built in our region. So, we don’t have the luxury of endless amounts of natural light pouring in at all times of the day. Although, to be fair, both of these before photos were taken at night–I’ll be sure to snap more before we demo. We’re combatting this by adding in a lot of ambient and accent lighting. We’re also going to go mostly very light (warm white?) on the walls with the wardrobes in black–that contrast will make the whites feel even brighter. And I definitely want to address the window well over these 6 weeks, too. There’s so much to do, we’re definitely planning on checking in and sharing the daily happs with this project on more than just the designated One Room Challenge Wednesdays, but plan to share the meatiest updates, as well as successes and challenges we come across every Wednesday from now until the big reveal November 9th. Who’s excited?! Want more swift renovations to follow? 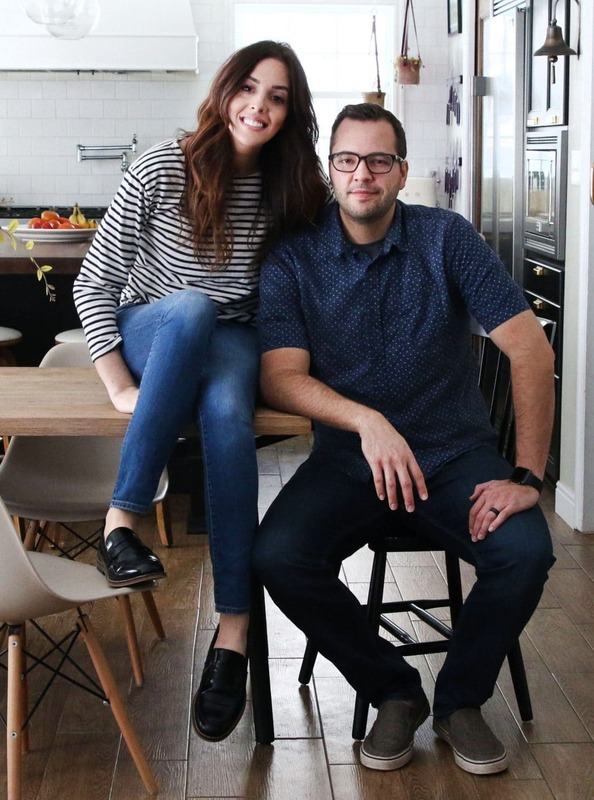 Here are the other 19 insanely talented designers in the One Room Challenge to follow! Can’t wait to see where we all end up. « Color At Home is here! 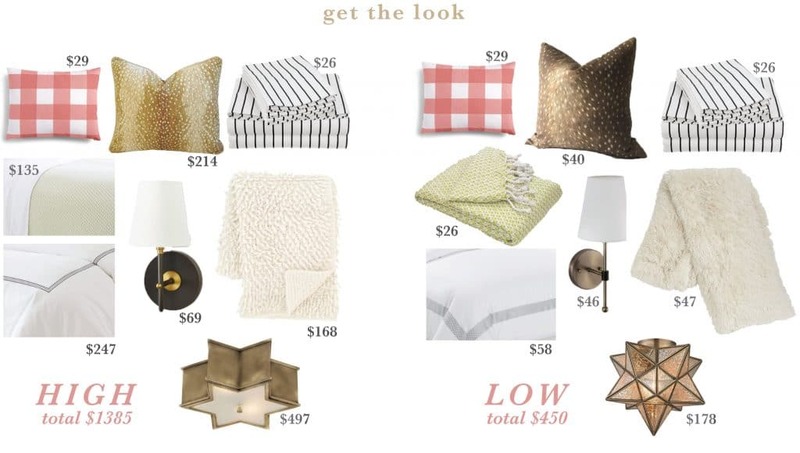 A High/Low Budget Breakdown of the Girls’ Room! We are in the process of moving our boys into the same room together before our third baby arrive. They want bunkbeds and my handy father in law has offered to build them if I can produce some plans. I LOVE the idea of stairs verse a ladder and wonder if you’d be willing to share the exact plans? Or maybe they are already on your sight and I haven’t found them yet, if so could you direct me? Thanks!! Unfortunately I didn’t draw up exact plans – just some sketches and measurements for our specific room. Where it is built wall-to-wall and factors in the window, exact plans wouldn’t translate to other spaces very well. I’m fairly new around here and I love your eye for design. Very excited to see how the new room comes out! I do love the burgundy embroidered pillow that is currently on the guest bed too…may I ask the source? Your plan is fabulous! can’t wait to see what you create!I am excited to be in this fabulous group of designers with you!Xo! I love this plan! Your home is so beautiful. I think this will be a wonderful way for your kids to stay close. I hope they don’t mind the construction noise. Good luck! We built in bunks for our girls (now 4 and 7) about 2 years ago and we love them. Here are four things we did: 1) the girls’ reading lights have switches in each bunk which are overridden by a master switch at the door; helps for “lights out” 2) cute book slings with extra pockets from land of nod 3) my husband insisted on an outlet in each bunk for future device charging–I have mixed feelings 4) we’re now adding a blackout curtain to each bunk because one sister likes to read later than the other. So I’ve never had bunk beds but have made a lot (do house cleaning for a living), and here is my unsolicited advice. Don’t use a flat sheet. Just do the fitted sheet and a duvet cover. Can exchange out the weight of blankets inside the duvet as seasons change and don’t have to try to make a bunk with a flat sheet. IKEA has a lot of duvet cover options so you can have an extra available to make the bed when you wash the fitted sheet and cover. Totally agree with just a fitted sheet and duvet cover for bunks. It takes practice, but you’ll get pretty quick at putting on the covers, especially if the cover has interior ties and the duvet has corner loops. 100%. More than 100%. We love them! Gosh this is going to be SO good, I’m excited to follow along with your progress Jana! I can’t believe I’m getting the chance to be part of this stellar group! Sorry!!! Julia :) I’m obviously typing a wee bit fast!! So excited to see your girls’ room! 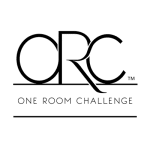 So many of my favorite blogs are involved in the ORC this time around. Slightly off-topic, but what program do you use to pull together your mood boards? Do you have any recommendations for free or online versions? Thank you! Polyvore is a great one! I use Photoshop and Illustrator. Excited to follow along! The built-in bunks are going to be so cool! Looks marvelous! I love the playful mix of patterns and textures; it isn’t too childlike, but balances youthfulness with a more polished approach. Is #10 a picture you’re looking to use, or just color inspiration? You’re so bold in your approach to art, it’s wonderful to see! It’s color and art inspiration. I’m having something commissioned that will be similar but not exact. I’m so excited to see you as one of the invited designers. This is going to be one amazing room! Good luck pulling it all together. We’ve got a busy few weeks ahead of us! My god, you’re inspiring! I just want to replicate your house with mine. 6 months in it’s still a blank space. Also, swapping the guest room and the girls’ room will provide even more of a buffer between the theater-ish room and sleeping babes! So great!!! Yes! This is going to be AMAZING! Can’t wait. Chris & Julia – this will be an amazing room for your girls when you’re done, I can’t wait to follow along over the next 5 weeks! Good luck! Can’t wait to see the finished product! Those bunks are going to be amazing. I was just searching your archives last night for Greta’s current room. I’m expecting #2 and our 2 year old daughter will be moving to our guest room. It’s huge and has definite potential to be a shared bedroom in a few years, so I’m excited to see you tackle this challenge! Wishing you continued inspiration and stamina! I cannot wait to see this come to fruition! We are beginning the process of adopting three little boys (we already have three kids) and there will be lots of bunk beds in our future! SO excited to participate with you and to follow along on your journey! 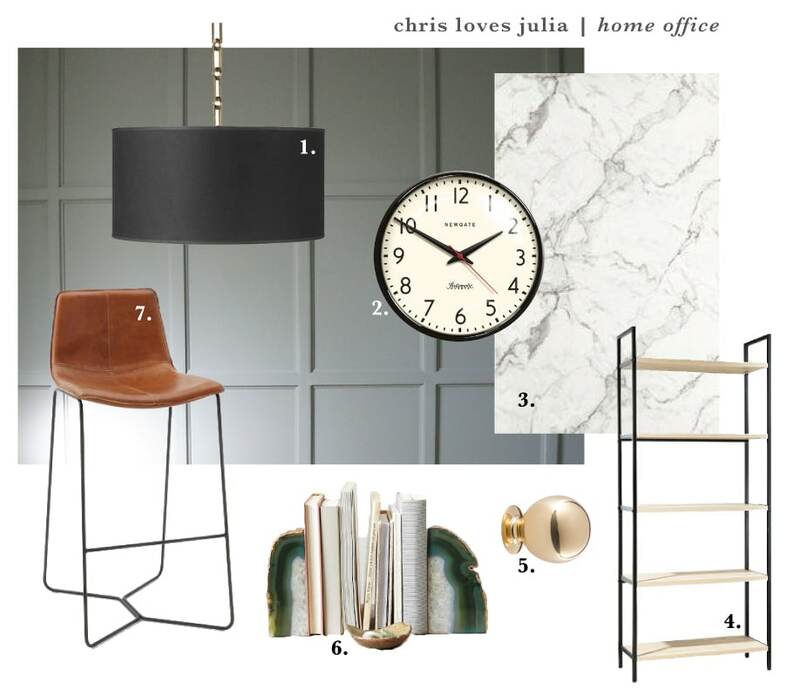 Love your mood board and looking forward to the finished result! Oh yeah….this is gonna be good!! So excited to watch the overhaul! Your dining room, though! So excited for it! This is going to be great! Can’t wait to follow along with your progress! Siblings sharing rooms is a great idea!!! I’m glad to see you are trying it out! Practical question: how do you secure the windows since you have window wells? I just took a safety course where they recommended a locking bar/cover type of thing at the top, so I was curious about what you use. At the top of the window or the top of the well? The well has a small ladder in it so the girls can easily climb out in case of an emergency. Can’t wait to see what you come up with-and this line up of designers-WHAT?!? I’m going to be so full of inspiration for our reno by the end of these 6 weeks. Thanks for sharing in real time. I am so freaking excited to see this happen. Not to add anything to the tight timeline but have you considered making dresser drawers in the stairs for extra storage? I cannot wait to see you guys take on this project! I love the plan! Your mix of pattern & textures is spot on. I look forward to following along. Off topic but— Are you still working on your new office? I haven’t seen any posts on that since August!? I am excited to see how these 2 new downstairs rooms evolve! I’m so excited to see those bunk beds come to life! What a great plan! I’ve been obsessing over built-in bunks lately in hopes that my children (4 and 1) will eventually share a room next year. What’s the ceiling height you’re working with? We just have standard 8 ft ceilings. Was so excited to see this post and what room you choose ! I’m so glad you’re doing bunk beds !! It make me nostalgic of the time I shared one with my sister ! I LOVED shared a room with her when I was younger, I’m sure your girls will love it as well ! Excited to see yours too, Sherry! Also, are you putting the office on hold or will we see the progress of that room as well? We’re working on the office, too! Just waiting for the worktop to get done. You are ambitious:) Can’t wait to see how both projects turn out. I just love your style and always anxiously await a reveal! Great inspiration board! 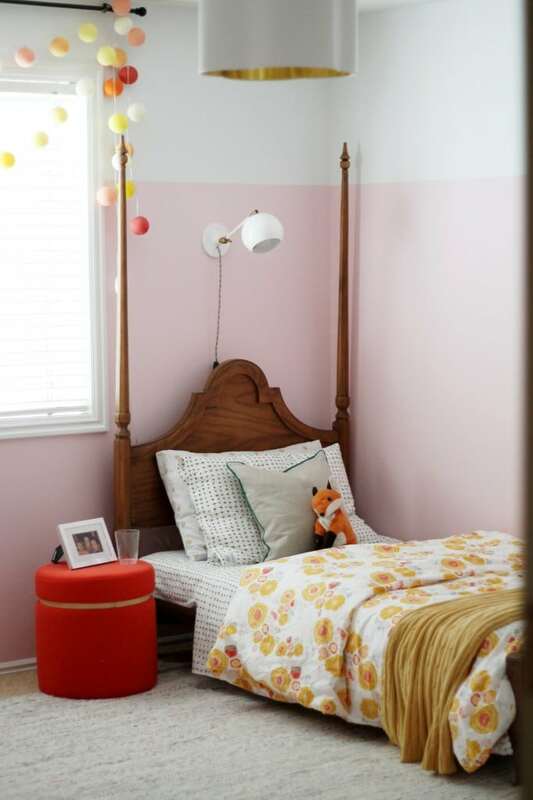 Reminds me of Mabry’s room that Dana just completed (color-wise and with such a mix of patterns). I’m excited to see how you build the bunk beds. I would love that in our house but we have 8 ft ceilings and it just didn’t seem like a good fit for the long haul. Someone would start banging their head on the top bunk or ceiling, haha!! Are you worried about using such expensive pillows and fabric in the girls room? 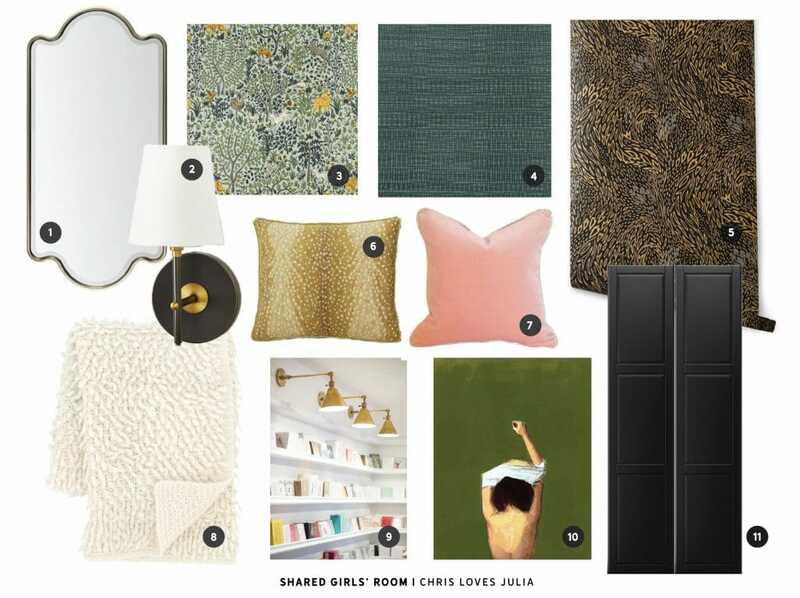 I’m getting ready to tackle my daughters’ shared room and I’ve been brainstorming fabrics and decor (of corse the ones I love are so expensive) but I just can’t rationalize even using Studio McGee’s beautiful pillow covers (or those $400 and $200 pillows!!!) on a 3 yr olds bed because my little stinkers would definitely find a sharpie and go to town!! Oh, we just have 8 ft ceilings,too! As for the textiles, nothing is purchased yet.